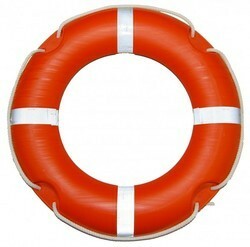 Manufacturer of a wide range of products which include life jacket and life buoy. 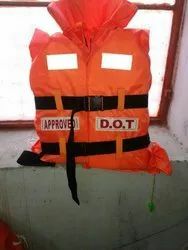 Life jackets manufactured from polyethylene foam with high visibility orange colour fabric, reflective stickers chemically resistant to sea water and petroleum products quick turning time and high free board in water. BYOYANCY : UPTO 30 Kgs. Description : Low pressure Polyethylene. Looking for marine safety product ?